This email reached me recently about one of the upcoming wine tastings, of Oyster Bay Wines from New Zealand, at Seasons in the Park Restaurant in Queen Elizabeth Park. The restaurant has a spectacular view of downtown and the North Shore mountains, day or night. Oyster Bay Wines, and New Zealand wines in general, are bright and are great for spring and summer enjoyment. So check out the announcement, buy your tickets and enjoy! Spring is upon us and summer is just around the corner! Come celebrate the beginning of Vancouver’s beautiful, sunny weather by joining us for a tasting of Oyster Bay Wines and delectable canapes paired perfectly by our chef team on April 15. A wonderful way to ring in the spring! Described by leading London wine writer, Michael Kime, as “pretty close to being the elusive stuff of dreams“, the wines of Oyster Bay are the proud progeny of a single-minded passion — to capture the pure fruit flavours of one of the world’s great wine-growing regions. Please note: There are no physical tickets for our tasting events. Once your purchase is completed, you will be added to our guestlist. Please check in at the front desk upon arrival. Tasting starts promptly at 6:15pm. It is 1 week till the International Festival Tasting Room opens at the Vancouver Playhouse International Wine Festival and we will get to try wines from all over the world. But which wineries? Here are a few wineries that I think you should try. There are of course many other wineries to try at the Wine Festival, so if you see something that interests you TRY IT. Some of the wines at the Festival are brought in ONLY for the Festival, so if you like it, buy it in the wine shop at the back of the tasting room before it sells out. The complete list of wineries at the Vancouver Playhouse Wine Festival is here. Planning Your Summer Wine Trip? It’s almost mid-August… What do you mean planning your summer wine trip? Well I didn’t mean a trip here. How about the southern hemisphere? January is prime summer time down under. If you are in North America, a trip south to Argentina or Chile is not a far stretch. Vancouver, BC to Santiago, Chile via Air Canada is $1555 round trip in January. Toronto, Ontario to Buenos Aires, Argentina via Air Canada is $1503 round trip in January, per person. Both countries speak Spanish, but you can also get along with English as there are English speaking people in hotels as well as at wineries (from personal experience). Before you get to any of the countries I mention, I recommend researching out some wineries on the Internet, then contacting the wineries in advance to set up a private tasting. I’ve done this in the past and I had great private tastings, which usually includes a few wines that are not normally poured at public tastings. If you feel more comfortable being in an English-speaking environment, try Australia, New Zealand, or South Africa. If you like wines and the environment of British Columbia, then New Zealand may be the destination for you. A round trip in January from Vancouver to Auckland, New Zealand $2460 via Air Canada per person. If you would like to see the terra rossa soil of the Coonawarra in Australia, and enjoy a big Shiraz or Cabernet Sauvignon, a Vancouver to Sydney, Australia round trip ticket costs around $2123 per person. 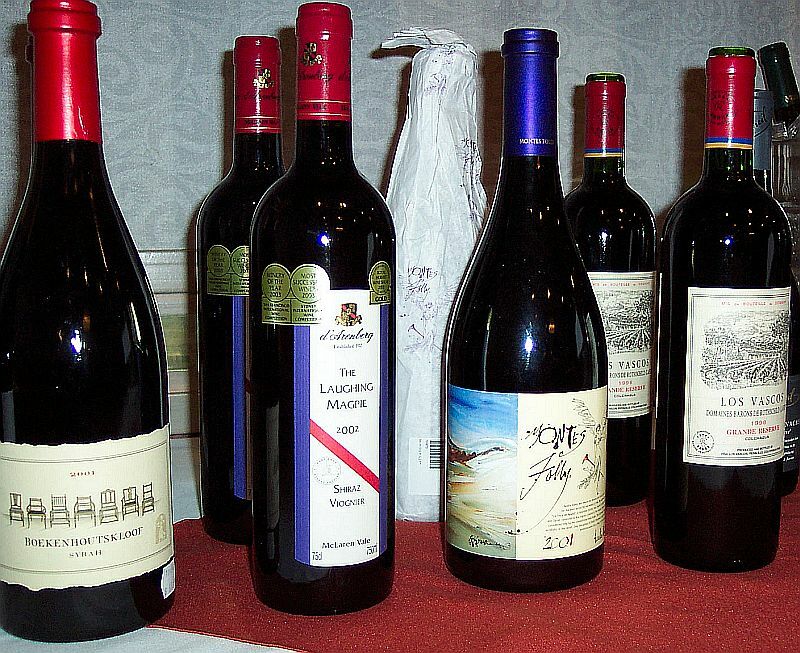 The longest flight for Canadians would be to South Africa, but you can experience the Old World wines of the New World. If you like the structure or finesse of French wines, for example, but also the fruit forwardness of North American wines, South Africa is a good choice. South African wines are designed for food, so make sure you enjoy a braii (a South African bbq) with your South African wines. A Toronto, Ontario to Capetown, South Africa in January is about $2061 via Air Canada per person. What wines to enjoy in these southern hemisphere countries? What are the signature grapes of these countries? What are some interesting regions to visit in these countries? These are all questions that you probably have as you consider your southern hemisphere Summer wine trip. In upcoming blog articles I will tackle these questions and hopefully help you have a great wine trip! The flight prices I found on Travelocity.ca. They can change quickly, so I recommend doing a check on your own. Enjoy your trip planning! I recently received an email from Liberty Wine Merchants about their upcoming Bottles and Bangers Southern Hemisphere wine tasting. You may not know, but I was the president, then co-chair, and the cellar master for the South World Wine Society here in Vancouver for many years. I’ve turned over the reigns to other exec members, but I still have a soft spot in my heart for southern hemisphere wines. South Africa, the Old World of New World wines, has many food friendly wines. Try a Syrah or Chenin Blanc. For Chile, maybe try their signature red grape, Carmenere. Argentina has Malbec, which has been very hot in BC for a while. New Zealand Pinot Noirs or Sauvignon Blanc wines are well-known around the world. Central Otago in the South Island in particular has very interesting Pinot Noir. And don’t forget Australia. The Coonawarra, Margaret River, Eden Valley, and the Barossa Valley, to name a few vineyard regions, produce exceptional wines. Jacob’s Creek, Yalumba, Penfolds, and Henschke are just a few names that you may recognize. Australian shiraz, cabernet sauvignon, riesling and many more wonderful wines. With that, check out the details for Bottles & Bangers, and buy your tickets before they sell out. Taste the sensational wines of the Southern Hemisphere accompanied by an artisanal sausage. All proceeds to benefit amateur sports. Tickets $29.99 Available at all Liberty Wine Merchants stores. New Zealand is well-known for their bracing Sauvignon Blancs and their Pinot Noirs, which range in style from summer fruits, like strawberries and raspberries, to wild savory aromas and flavours. But there are other grape varieties to try from New Zealand, such as Pinot Gris, Riesling, Chardonnay, Merlot, Cabernet Franc, and Malbec! 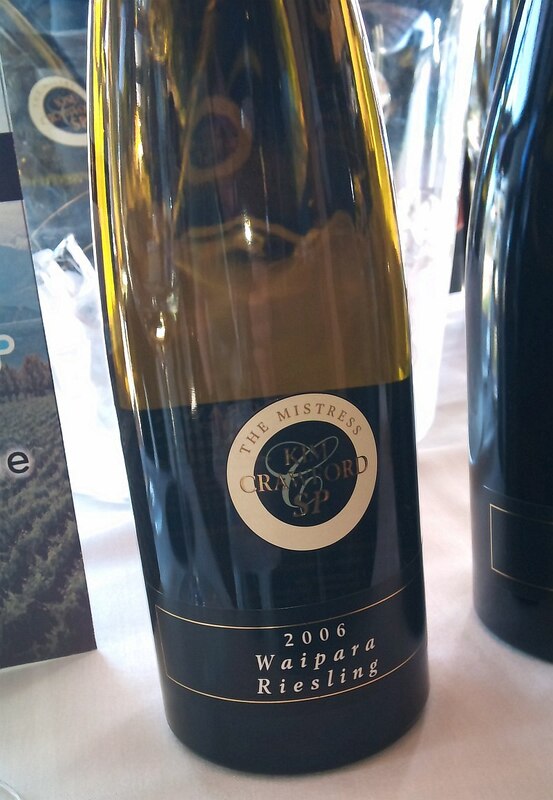 Kim Crawford Small Parcel “The Mistress” Waipara Riesling 2006. I was really impressed by this wine and their Small Parcel Pinot Noir. These are special single vineyard wines. The Riesling was pale lemony green. Petrol, and lemon on the nose. High acidity, almost bone dry, with petrol and lemon flavours. It paired very nice with the La Sauvagine cheese. And also with the Herb crusted Chicken Kiev. The saltiness of the Chicken Kiev meshed nicely with the flavours of this wine. Kim Crawford Small Parcel “The-Rise-and-Shine” Creek Central Otago Pinot Noir 2007 ($34.99). Central Otago, is inland in the South Island. The cooler climate allows these grapes have a long hang time and smaller berries, which gives a higher skin to pulp ratio, and more intense, riper, fruit flavours. Medium purple in the glass with ripe purple fruit and vanilla aromas. Ripe fruit, cassis, plums and vanilla on the palate. 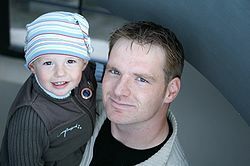 Medium body and medium length. Very nice. Man O’War Vineyards Waiheke Island Sauvignon Blanc 2009 ($23.99). This wine was very light lemon in colour. Herbal and jalapeno pepper aromas. High acidity with more jalapeno and herbal flavours. Light body, but long length. Very nice. Went very well with the creamy cheeses and also held up against the Alexis de Portneuf la Cendrillon ash goat cheese. 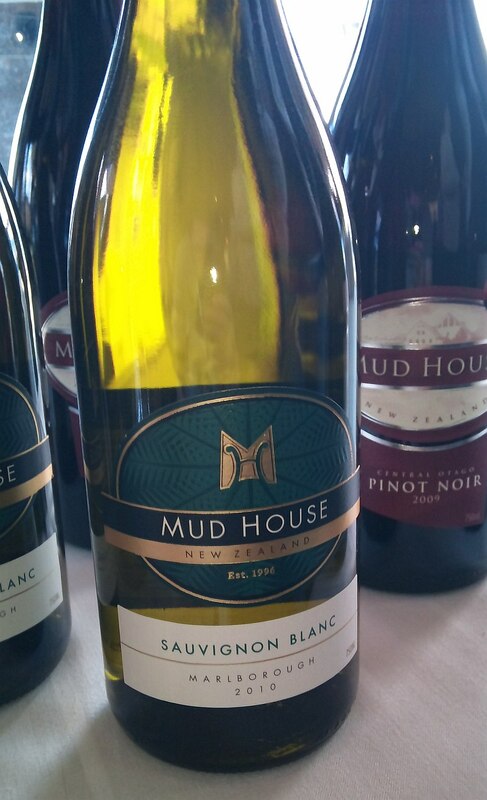 Mud House Marlborough Sauvignon Blanc 2010 ($19.99). Pale lemon in the glass. Lots of gooseberry on the nose with some herbal on the nose that continued to the palate. Medium plus acidity with long length. Really nice flavour. Sacred Hill Brokenstone Hawke’s Bay Merlot 2006 ($39.99). Medium dark garnet in colour. Ripe dark cherry and vanilla aromas in the glass. Full body, round mouthfeel with medium drying tannins. Ripe cherries and vanilla flavour, with a bit of spice on the finish. Astrolabe Voyager Marlborough Pinot Noir 2008 ($32.99). Light garnet in colour. Light cherry and vanilla nose. Light body with red cherry flavour and a bit of spice. Medium length. Astrolabe Voyager Marlborough Pinot Gris 2010 ($23.99). Perfumy, peach and citrus on the nose. Light body with peach flavour. Round in the mouth with medium length. 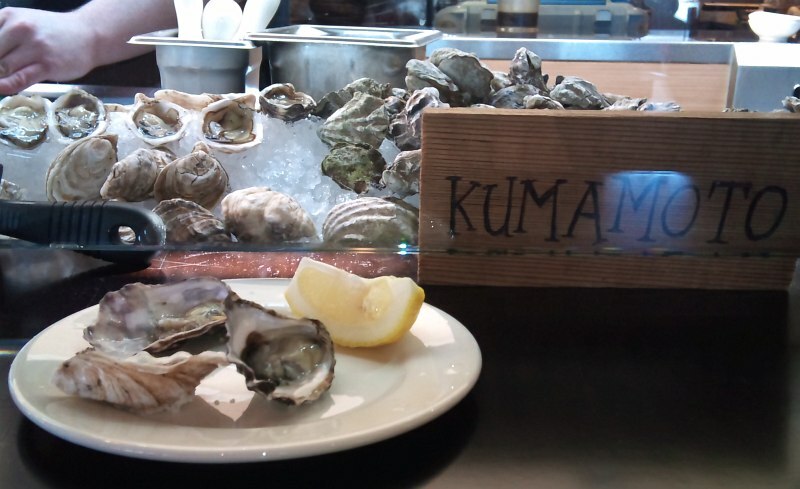 I enjoyed this with the 3 types of oysters on the half shell. Giesen The Brothers Marlborough Chardonnay 2007 ($25.99). A pale lemon colour with a green tint. Vanilla, oak and apple on the nose. A full bodied wine. Acidity upfront, which made it refreshing. Cinnamon spice and apple flavours. Round, but not too round as it had that nice acidic balance. Very nice with the creamy cheeses. Also I really enjoyed this with the sesame crusted tuna nigiri sushi. It had a bit of smokiness to it that I enjoyed with the wine. Man O’War Waiheke Island Cabernet Franc Malbec 2009 ($28.99). Deep purple in colour. Vanilla and light cassis aromas. Full body with ripe cassis, black cherries, and medium but soft tannins. This wine paired with the smoky rubbed USDA prime striploin. Mud House Central Otago Pinot Noir 2009 ($22.99). This wine had a light cherry / strawberry nose. Light body with cassis and ripe red cherry flavours. Low tannins and medium length. Nice weight and flavours. Sacred Hill Sauvage Hawke’s Bay Sauvignon Blanc 2007 ($39.99). This is a barrel fermented wine, which gives it a bit more body and complexity. It also is fermented using indigenous yeasts, which is always interesting. You are never sure how a wine is going to turn out, and in this case, it worked out nicely. This wine was light lemon in colour, with lemon and petrol on the nose. More petrol on the palate along with apple. Medium plus acidity. This wine paired nicely with the oysters on the half shell. Stoneleigh Marlborough Pinot Noir 2009 ($19.99). Light strawberry nose. Light body with lots of strawberry flavour. Low tannins and medium acidity. A nice little wine. I enjoyed the Boathouse food a lot, the view at Kits Beach, and the great New Zealand wine. Hopefully I’ve given you a few ideas of Kiwi wines that you would like to try. Enjoy! As I mentioned in my earlier blog article, the Vancouver Playhouse International Wine Festival, has a PDF brochure now available. It has a listing of all the wineries attending this year. I started to point out some wineries to visit at the International Festival tasting, but needed this second article to finish off the list. I already covered Spain, Argentina, Australia, Chile, France, and BC. Although I may not mention each winery listed, I still suggest trying them as you may find a wine you love. With increasing level of sweetness. But don’t forget that Germany also produces wines from Müller-Thurgau, Silvaner, Pinot Gris, Pinot Noir, Scheurebe, Bacchus, and Gewürztraminer (and more). Bürgerspital Estate would be one winery to try as they do have a wide range of varietal wines to try. 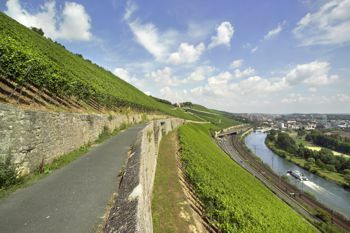 It is also amazing to consider how steep the slopes are where they grow their grapes; check out the picture I included from their website. Schloss Schonborn is another premium winery, has a wide range, and a sparkling wine. In Italy, the first in the list is Antinori. This is a large, well-known, and regarded winery, that has it’s winery in Italy, but also wineries in California and Washington state. Their innovations played a large part in the “Super-Tuscan” revolution of the 1970s. They are well-known for their launch of Tignanello, a barrique-aged wine from the Tignanello vineyard that contained not only Sangiovese, but also Cabernet Sauvignon and Cabernet Franc, which meant that it was ineligible for the Chianti Classico appellation. This wine, plus Sassicaia from another Tuscan winery, helped to bring about the Indicazione Geografica Tipica (IGT) classification in Italy. 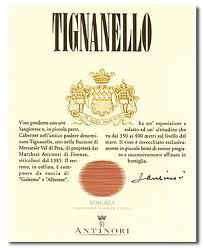 Needless to say, if they are pouring Tignanello, you should try it. Accordini Igino is from the Veneto region (NorthEast) of Italy, famous for Valpolicella and Amarone. If you have never tried an Amarone, you should be in for a treat. Amarone is a rich, dry red wine made from the partially dried grapes of the Corvina, Rondinella, and Molinara grapes. The drying process concentrates the remaining sugars and flavors in the grapes to produce a full-bodied wine with lots of flavour. Consider an Amarone for a special dinner. Beni di Batasiolo is from the Piedmont (NorthWest) corner of Italy. Beni di Batasiolo is quite well-known for their off-dry Moscato d’Asti, but they do have a wide range of red and white wines. On the red side, we may be treated to a Barolo, Barbaresco, or Barbera d’Alba. Ca’ del Bosco is a winery from the Lombardi region of Italy. They are a relatively new winery, who is on the leading edge of the exciting new wave of Italian wine producers, making top-quality sparkling and still wines. 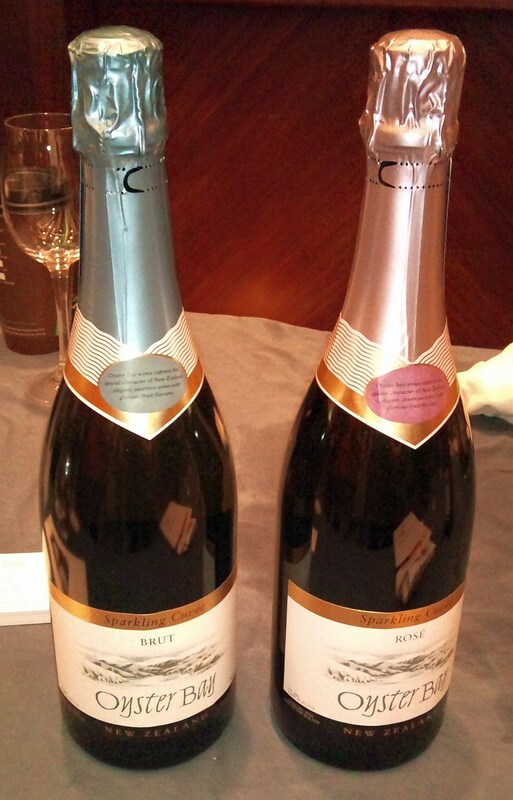 I checked their website and they do have quite a range of sparkling wines, that I am looking forward to tasting. New Zealand and BC are quite similar. We both have been producing wines from the noble grapes starting the 1970s. We are both also cool-climate wine producers, and I think make some very nice Pinot Noir and Pinot Gris. Astrolabe, Giesen Wine Estate, Man O’War Vineyards, Mud House Wines, and Sacred Hill Wines are wineries that you may not have heard of, but they all are very good producers. Try Astrolabe‘s Sauvignon Blanc . I can recommend the Mud House Central Otago Pinot Noir 2008. When I tried it last year it had a range of smoky, cherry, and leafy aromas. Wild flavours on your palate with cherry, oak and strawberry flavours. Also try Mud House’s Pinot Gris. I also recommend trying the Giesen “The Brothers” Sauvignon Blanc Marlborough 2008. Again from a past tasting, it had lots of herbal and gooseberry aroma. Bracing acidity with green flavours. In August 2010, I was able to meet with Man O’ War winemaker, Mr. Duncan McTavish. 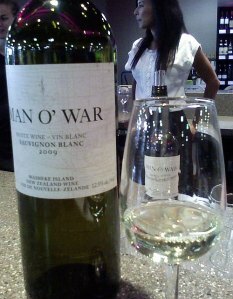 At that time I recommended his Man O’ War Sauvignon Blanc, 2009 and his red blend made with Merlot / Cabernet / Franc / Malbec 2008. The winery also has a premium level of wines called their Black label wines. They are named after great battleships or classes of battleships. Hopefully Duncan will be bringing his Valhalla Chardonnay, Dreadnought Syrah, and Ironclad Bordeaux blend. Read my MyWinePal Meets Man O’ War article here. The G7 Wines of Portugal group visited Vancouver a few months ago, introducing us to the still white and red wines of Portugal, and of course their wonderful port. Aveleda has a variety of labels: Casal Garcia, Aveleda Fonte, Quinta da Aveleda, Aveleda Alvarinho, Charamba, Follies and Adega Velha. You may be most familiar with their Casal Garcia Vinho Verde, “green wine”. Vinho Verde, comes both as a red and a white wine, but I think only white wines have reached BC. Vinho Verde is a very refreshing and versatile white wine that has a bit of effervescence to it. Try it with some seafood. They also have a Follies line of wines. I was fortunate to taste their Follies Cabernet Sauvignon / Touriga Nacional (30/70%) 2008 (~$16). It was one of my favorite wines from the G7 tasting. Violets, black fruit, spice and mint aromas. Full bodied. Good fruit / tannins balance. Purple fruit flavour with a dry tannic finish. Quinta do Crasto is well-known for their ports here, and will hopefully show us their range of still red wines. 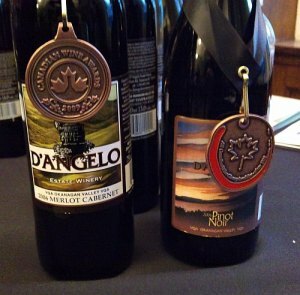 There are a few of their red wines currently available through the BCLDB, but there are many more to show. 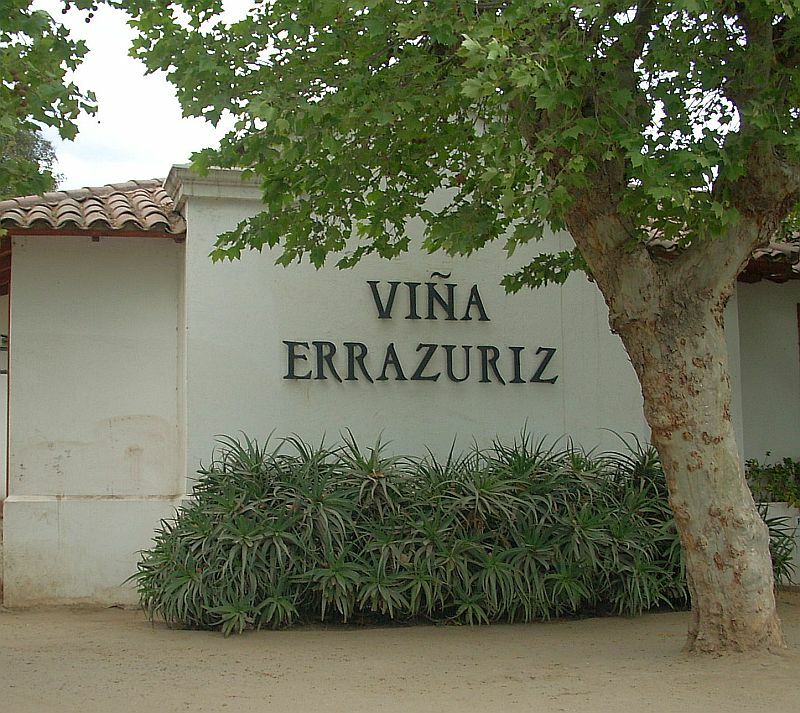 Their single varietal Touriga Nacional and their Touriga Roriz should be interesting to taste. These are two of the indigenous grapes to Portugal that go into the blend for port. The most expensive ports are primarily made from Touriga Nacional. It has aromas and flavours of violets, blueberries, black fruits, and spice. A grape that produces a very full-bodied wine. Touriga Roriz is the most widely grown grape in Portugal. It has cherry, jam, blackberry and spice on the nose. The grape has high tannins, and can age for a long time. Quinta do Vale Dona Maria is another producer of both port and still red wines to check out at the festival. Symington, Fonseca Guimaraens and Taylor Fladgate are famous port producers. You should visit all of them, but maybe wait toward the end of your tasting session as these ports could overpower your palate for white and red still wines. Graham Beck Wines produce a wide range of wines, from sparkling to dessert to white, rose, and red wine. Graham Beck also has a social conscience and opened the Graham and Rhona Beck Skills Centre near Madeba in Robertson. Part of an extensive and innovative social development program, the centre aims to facilitate skills development for the long term upliftment of the farming community in the Breede River Valley. They also are supporters of the environment. You can read about Graham Beck’s Biodiversity drive here. I have enjoyed their Game Reserve Shiraz, Game Reserve Chenin Blanc, and their Méthode Cap Classique Brut NV sparkling wine in the past. Glen Carlou‘s Syrah and Chardonnay has won many awards from around the world. Their Syrah 2004 was awarded John Platter’s Wine of the Year in 2006. Their wine is reasonably priced, is a general listing in the BCLDB, and in my opinion a great deal. There are plenty of wonderful wines from the USA. From Oregon there is the solid King Estate. They are well known for their excellent Pinot Noir, but I also really like them for their Pinot Gris. For Washington State, you will want to try Columbia Crest. The Columbia Crest 2005 Reserve Cabernet Sauvignon, was Wine Spectator’s No. 1 Wine in the World for 2009. Also I’ve tried their H3 Cabernet Sauvignon 2008 and really enjoyed it (Horse Heaven Hills = H3). There are several California wineries to choose from. If you like big, jammy Zinfandels, I would expect to see the wide range that are produced by Ravenswood. Caymus Winery and Clos Du Val are two cult level wineries for Sauvignon Blanc. Another good producer of Cabernet Sauvignon at a lower price point is Louis M Martini. Rodney Strong (both their white and red wines are excellent), Robert Mondavi, and Stag’s Leap are also excellent producers of wine. Give them each a try. I could keep going on about all these wineries, but I think I’ll stop with this. If you have any favorite wineries, please let me know, and go out and enjoy the Vancouver Playhouse International Wine Festival!!! Here is the download link for the Vancouver Playhouse International Wine Festival brochure. Enjoy! Celebrating Mardi Gras Food with Wine! Mardi Gras is coming up on March 8. What food and wine will you be serving? I took a trip to New Orleans, the Big Easy, just before Hurricane Katrina. It was an amazing food experience. Lots of rich and delicious food. For Mardi Gras, there are some well loved dishes. I was thinking to tell you about some of them, and then offer some wine pairing suggestions. And maybe get invited to a few Mardi Gras parties! What are some Mardi Gras dishes? 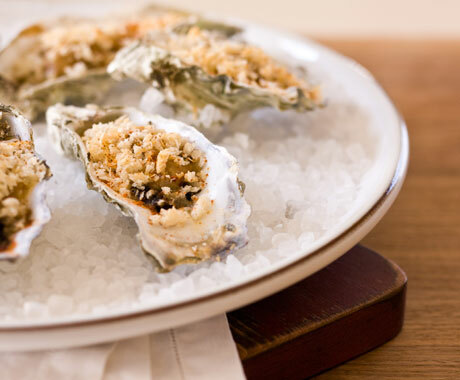 The Oysters Bienville dish on the half shell cooked with butter and egg and of course oysters is quite a rich dish. A riesling or maybe an unoaked chardonnay may pair nicely with this. For a riesling maybe try a Tantalus Vineyards Riesling from the Okanagan, BC or a Pikes Traditionale Clare Valley Riesling from Australia. For unoaked chardonnay, you could pick a La Chablisienne Chablis from France or Township 7 unoaked chardonnay from Okanagan, BC. The Chicken and Sausage Jambalaya will be a spicy dish with a tomato based sauce. A wine with good fruit and low tannins would pair well. Maybe a grenache or a zinfandel. On the grenache side, I really like the Sorrento Dry Grown Grenache 2008, McLaren Vale, Australia. I just tried it last month and it is wonderful, lots of red fruit flavours. Nice raspberry and toffee on the nose and on the palate. If you prefer a garnacha from Spain, try the Las Rocas Garnacha. For a zinfandel Kenwood Vineyards Yulupa Old Vine Zinfandel 2007 or Ravenswood Vintners Blend Zinfandel 2006. What is gumbo? Gumbo is a roux-based stew made with andouille sausage, cubes of beef, crab and shrimp. Again this will be spicy. A New World pinot noir could match well. From last years Vancouver Playhouse International Wine Fair, I can recommend the Villa Maria Estate Single Vineyard Taylors Pass Pinot Noir 2007 and the Woollaston Estates Tussock Nelson Pinot Noir 2007. My wine reviews for these 2 wines are here. 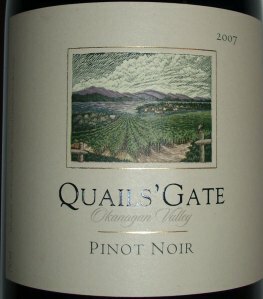 If you want a BC Pinot Noir, try the Quails’ Gate Pinot Noir? One of my reliable pinots in BC! In case you don’t have a recipe for these dishes, I’ve added the links for you. Enjoy these dishes from the Big Easy and these wines from around the world!